Do you struggle to find a solution for custom signs, decals, labels, or other printed products? We have been providing custom printing to the Winona area for over 30 years. We are nationally known and locally owned. Do you struggle to find a solution for custom signs, decals, labels, or other printed products? 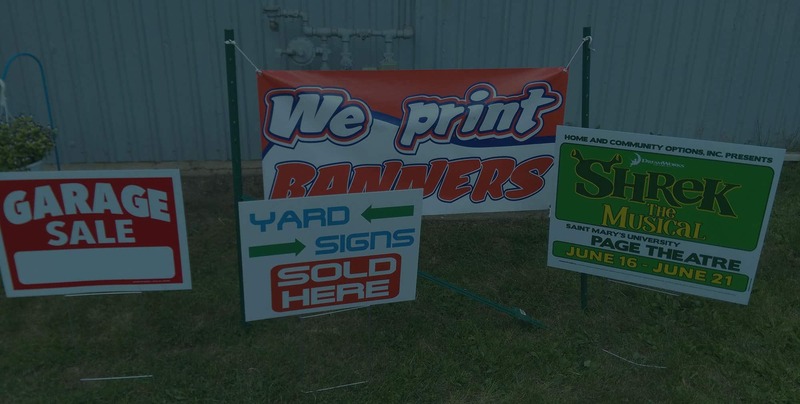 We have been providing custom printing to the Winona area for over 30 years. We are nationally known and locally owned. Simple, yet effective advertising. Most popular during election season, these signs really do the work for you. High Resolution images printed directly onto vinyl banner material with eco-solvent inks that last years outdoors. Warning Statements, Informational Signage, Identifcation Signage, Vinyl Decals and much more. Custom decals for windows or body of vehicle, race car wraps and graphics, “in memory of” decals and more. Serving the greater Winona area for 35 years!